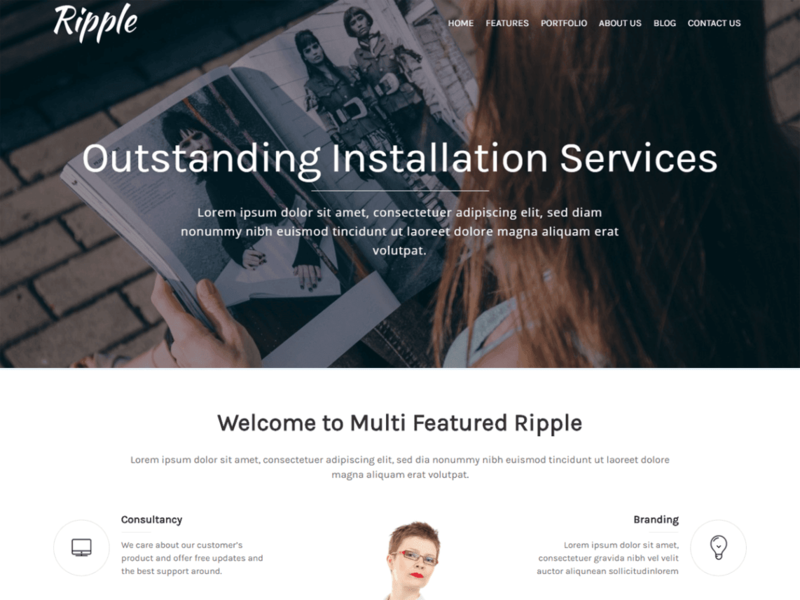 Ripple is a versatile one page WordPress theme for creating beautiful One Page websites. This theme comes with powerful customizer based options allowing you to build the wonderful websites in no time. Ripple is flexible, lightweight and it comes with a clean and flat design. It is not only limited to one page websites, You may also build website for any type of niche – Corporate, Agency, Portfolio etc to name some. The theme contains a beautiful filter based portfolio sections, Attractive call to action and many more. You may find the demo for Ripple theme here https://demo.accesspressthemes.com/ripple/.